has made LaRoma's famous in Rome, NY. Fresh produce and specialty Italian foods will be delivered four times a week to give you the highest quality product we can provide. 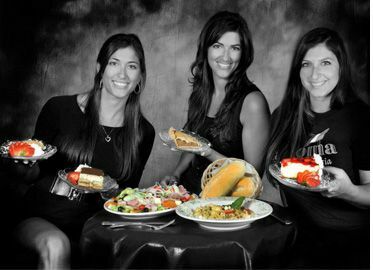 Our family hopes that you will come in for an evening of fun in our dining room or order takeout and delivery and taste our fantastic family recipes. We are also very excited to be celebrating our 29th anniversary on March 8th of this year for our Rome Location and our 1st anniversary on January 24th for our Camden location. Check out the "Life of a pizzeria owner on Super Bowl Sunday"
If you have what it takes and can stand the heat in the kitchen then come in and fill out an application. You can also simply download our application from our site and sent it into the location you wish to apply to. To See TOP Soup Restaurants!